The death toll from this attack has now reached 25 people. 9 members of staff and sixteen visitors to the hospital were killed. Eleven people are now confirmed to have been killed in the attack. This includes five patients (including 1 child and 1 caretaker) along with five staff members. A further three staff were recovered from the rubble with injuries and two remain missing. 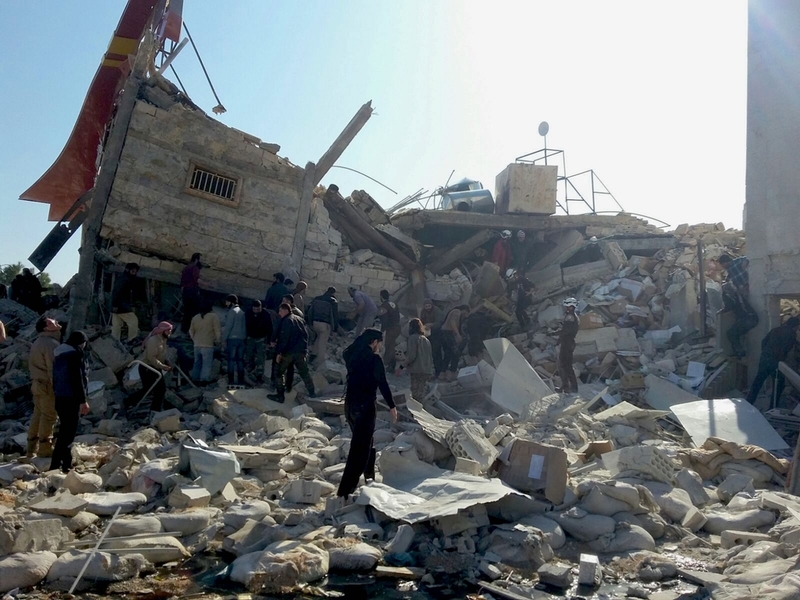 At least seven people were killed, and at least eight are missing, presumed dead, after a Médecins Sans Frontières (MSF) -supported hospital in Idlib province in northern Syria was destroyed in an attack on Monday morning, the medical humanitarian organisation said. The 30-bed hospital in Ma’arat Al Numan had 54 staff, two operating theatres, an outpatient department and an emergency room. The outpatient department treated around 1500 people a month, the ER carried out an average of 1,100 consultations a month, and around 140 operations a month, mainly orthopaedic and general surgery, were carried out in the operating theatres.